Is Pursuing a Dental Residency Worth It? One question I get all the time from readers is whether they should pursue a dental residency. I will focus this article on specialist residencies (maybe I’ll save an analysis of AEGD and GPR programs for a future post). How long are dental residency programs? What is dental residency and how long do they last? Most dental residencies outside of AEGD and GPR programs last two to three years. Oral surgery is a big exception to that rule, as OMFS candidates can expect four years of training without the MD or six years with it. That means ortho, endo, perio, prosthodontics, and pediatric residency programs tend to last two to three years. Of course, most periodontics programs tend to be close to three years, while many of the endodontics programs I could find offered two-year programs (UF and NYU for example). Three-year programs like this one at UConn seemed to be less common. Obviously, the shorter the program, the better financially. It’s easy to understand that going to a private school for an orthodontics residency might cost $100,000 a year for three years. What’s not as obvious if you haven’t taken an econ class in college is the phantom cost of lost income that you could’ve earned if you had worked instead. That’s called opportunity cost. Assume you would practice general dentistry if you did not go to a dental residency program. The opportunity cost for a three-year periodontics program would be your expected general dentist compensation over three years. That could easily be $360,000 to $500,000, and that’s without buying a dental practice or working in an underserved area. Unfortunately, many dental residency programs charge fees and tuition to attend. Meanwhile, your physician peers get paid to go to residency. This is because the Medicare program pays for about 100,000 residency slots for physicians under the GME funding program. Dental residencies get little to no government funding directly. Even though you probably provide cheap labor to the program, colleges of dental medicine know they can charge tuition in many cases and get it because of very lax federal student loan underwriting standards. While some residencies are not tuition-based, and some even pay you a significant stipend, most residents can plan on coming out with additional student debt from attending their program. If you go to a ttuition-baseddental residency with little to no stipend, you should add the additional student loan cost to your lost income while you’re at the program. The resulting true cost of a dental residency for most people is in the $400,000 to $800,000 range. What is the average debt of a dental specialist? I’ve never seen great numbers for average specialist debt (if you have some please share in the comments). I can go off the numbers from our clients since the sample size has continued to grow since I started helping folks figure out their massive student loan debt in 2016. Here’s our average debt amounts for our clients in different specialties below. The projected savings column is the amount I expect we will have saved for clients in that profession after they implement our recommendations for their student loans. For example, an orthodontist living in a community property state who doesn’t know about the breadwinner loophole could easily save a couple hundred thousand projected over 20 years. 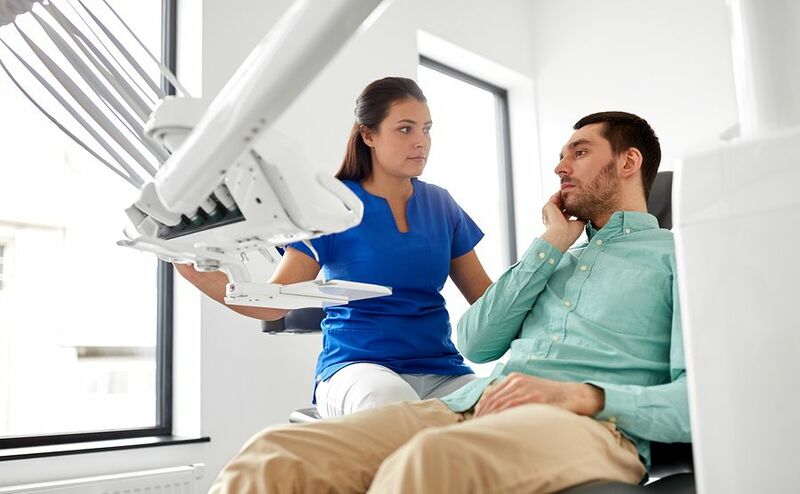 An endodontist using PAYE when she could be using REPAYE because she plans to pay off her debt might save $60,000 in the first five years in interest subsidies. I track these numbers religiously so I can monitor how effective our consulting is. About 10% of the time, we find no savings and just confirm that the doctor is on the best path possible. Either way, we charge a predictable flat fee. I expect the numbers above are biased (because we have a biased sample. Specialists with small student loan debt don’t reach out to us as much as large debt borrowers do). Hence, I think if you multiplied the numbers above by about 0.7, you’d get a realistic guess for the specialty in general. Also, admittedly our sample size for each specialty isn’t large enough to be statistically significant yet. Our sample of over 300 general dentist clients is significant though. What are average incomes after dental residency? Here are the ranges of incomes that I’ve personally seen for each specialty. I don’t include prosthodontists and dental anesthesiologists because our sample is only a couple people each. I’ve had plenty of general dentist clients make $400,000 and up just doing bread and butter procedures. Almost all of them were located outside major metro areas with more than 500,000 people. Think two hours away from Minneapolis, or three hours west of Houston, or right outside a Native American reservation a few hours from Oklahoma City. If your goal is earning a high income and paying back your debt in a hurry, I’d suggest not doing a dental residency. You just need to move somewhere where they need dentists. Own your own practice. In an underserved area, you might even find some of the procedures being done by specialists in bigger cities can be done by you since patients don’t want to drive a couple hours for care. Lots of new dentists express they’re afraid of being bored as a general dentist. I don’t necessarily think that specialist training will guarantee you don’t get tired of doing braces or root canals. So many general dentists graduate and then sign up for associate positions at a DSO in New York, California, DC, and South Florida. These dentists typically earn between $120,000 and $150,000 in a high cost of living area. They also usually must rely on income-driven repayment and forgiveness to manage their debt. If you have your heart set on living in a saturated market for dentistry, you are probably better off as a specialist than a generalist. In a highly competitive market, anything setting you apart is valuable. Corporate dental groups from my experience have a harder time employing specialists like endodontists, orthodontists, periodontists, etc. Of course, these big groups exist. That said, corporate dental wants a giant scalable operation. Having to hire specialists is not as easy as building a giant group of general dentistry practices. After doing a dental residency and becoming a specialist, you’ll most likely still need to rely on forgiveness strategies. The only difference would be that you’d be making more money than a generalist. If you can earn $250,000 as an endodontist instead of $130,000 as a general dentist, that investment pays for itself rather quickly. That’s especially true since you’ll be shooting to have your loans forgiven while paying a tax bomb anyway. However, if you could’ve made that kind of money as a general dentist practice owner, maybe that’s not the best decision. When is dental residency not a great idea? If you want to work like crazy to get out of debt, pursuing a specialty residency and racking up even more debt is probably not the best thing to do. When you can move to out of the way states and earn $250,000 as a generalist after becoming a practice owner, why not start earning money sooner rather than later? If you’re willing to give up the big city lifestyle, then forgoing years of earnings while taking out more debt is a very costly decision. Also, if you want to work part-time, general dentistry seems to be an easier occupation to live that lifestyle. I’ve certainly had specialist clients who worked three or four days a week. I’m just saying that there are plenty of employers out there who will accommodate a general dentist who wants 20 hours a week. Specialists might need to figure it out for themselves. Remember that while some residency programs are virtually mandatory, others are optional. Though controversial in some cases, many general dentists do in rural areas do procedures that only specialists do in urban areas. Perhaps that’s one of the reasons I see general dentists practice owners making so much money where they have little competition. What’s the best dental residency from a financial perspective? Based on my data, endodontics seems to have a solid return on investment if you go to a 24-month program not at one of the higher cost private dental schools. One endodontist client was earning $35,000 to $40,000 a month right after his two-year residency and six years after he started dental school. He did this without being a practice owner and having to take on additional practice debt, since he performed procedures at half a dozen offices in his area. Orthodontics seems to be dentistry with higher leverage in terms of payoff. You can do fantastically well, as one orthodontist in Georgia was who was earning over half a million per year. You can also make $225,000 as an associate in NYC with $1 million of student loans. That latter case can still result in you being successful financially. It’s just tougher. 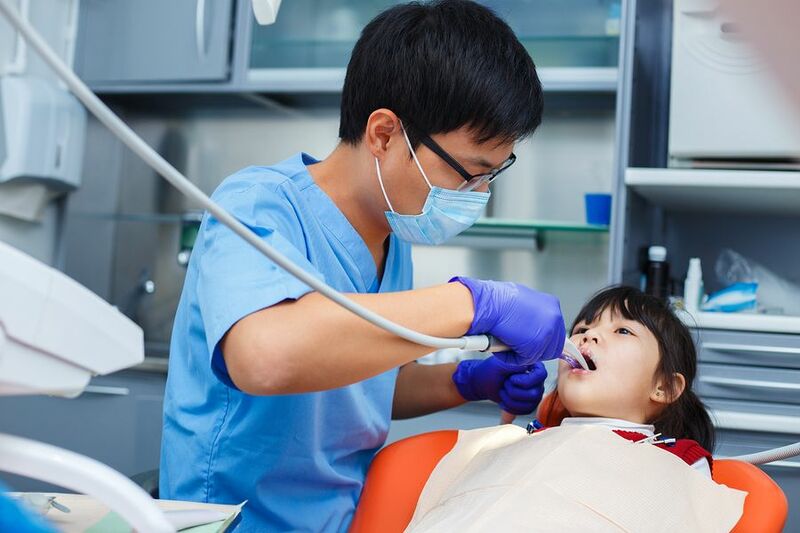 Perio, prosthodontics, and pediatric dentistry seem to depend on what kind of residency you went to and how long it was. Three-year tuition based with no stipend, and you’ll be much better off as a general dentist if you’re not in a big city. Many of the oral surgeons I’ve spoken with suggested that you try for a four-year program and avoid the MD if you’re financially focused. If you’d just like to do the six-year program, that’s ok and you might get a better payoff financially than as a general dentist. It just takes far longer. At this point, I’ve done over 1,000 student loan plans. I can figure out how to minimize the impact of student debt on your life and make it not stand in the way of your career goals. If you make your decision on whether to go to residency based on finances alone, I fear you’ll be unhappy. Ask yourself will you want to live in the middle of a big city that’s saturated with general dentists? If yes, then it’s probably better to be a specialist. Do you hate debt and want to be free as soon as possible? If so, then you probably want to move to a place that needs your services right after school and own a general dentist practice quickly. Are you afraid of being bored in your career? Doing fewer procedures with deeper expertise probably won’t fix that boredom. I struggle with being content sometimes too. Try to find meaning no matter where you end up. Finally, the highest cost dental residency programs will be the most likely to accept you. Keep that in mind when you get your acceptances that some dental schools view dental residency programs the same way they view the DDS / DMD degree. They’re a way to make a ton of money. When you go to dental residency, the breakeven period to get back to a net worth of $0 will be much longer. A general dentist might reach that net worth of $0 at the age of 30. Meanwhile, an oral surgeon might not surpass that $0 net worth mark until 40. If you’d like the prospect of early retirement, becoming a specialist might make it tougher. Hence, make a rational decision on what you think is best for your life and what you want to do. That’s how to decide what dental residency program to go to. What do you think is the best dental residency program? Any suggestions for those who haven’t made the decision yet? Comment below.